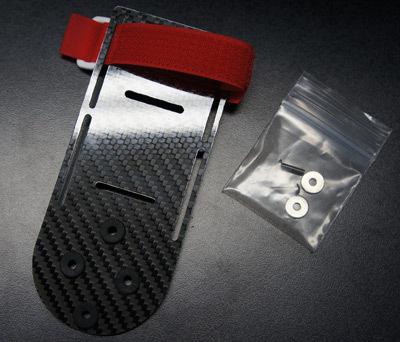 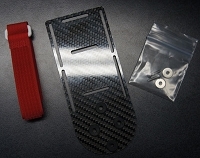 This Carbon Fiber battery tray will bolt right on the bottom of the DJI Phantom with no modifications and will allow you to better balance the Phantom so it is not front heavy. 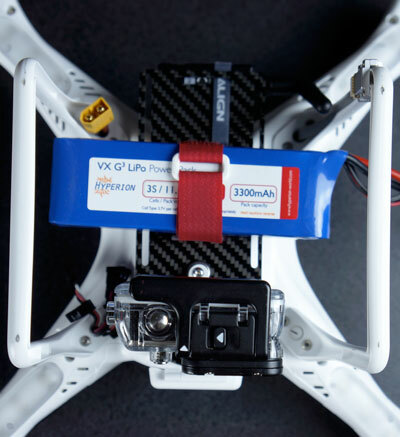 You can use a bigger battery. 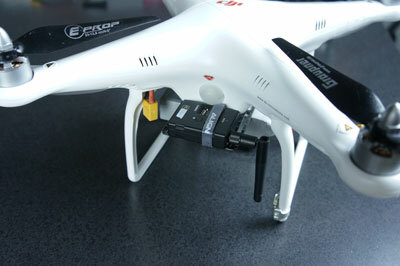 We like the Hyperion 3300mAh 35c 3s with Graupner 9" props. 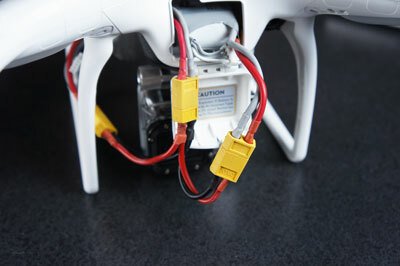 You can run 2 stock DJI Phantom Batteries. 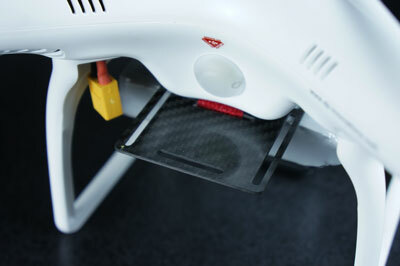 You can mount 1 stock battery in the Phantom and 1 stock battery on the bottom on the CF battery tray. 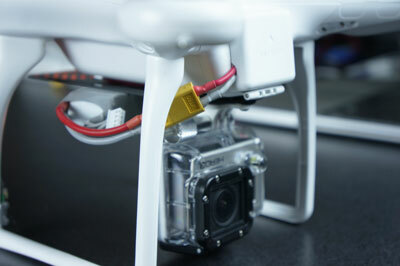 You can mount a battery and accessories like an RC Logger or any brand FPV/Video Downlink setup. 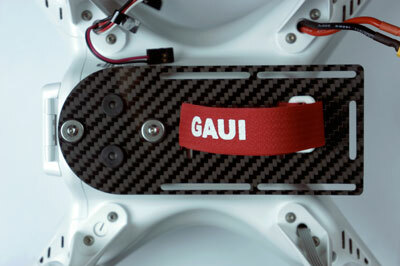 Has rubber grommets installed to help with vibrations and video jello.